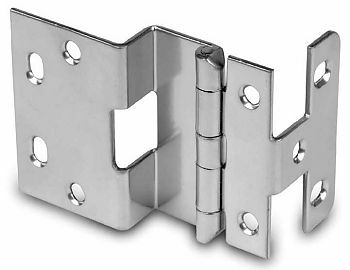 This five-knuckle institutional hinge was designed and manufactured to provide a quality hinge at a value price to meet the needs of today’s competitive market place. 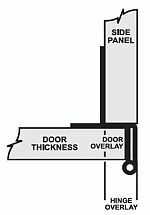 270° opening also ideal for armoire or television cabinets. Adjustable countersunk screw holes. Steel construction (.095" gauge), finished in dull chrome with hospital tips. Designed for 32mm hole system. Requires (9) - #8x5/8in. flat head mounting screws (sold separately). Exceeds ANSI/BHMA 156.9 Grade 1 requirements. Mounting Hardware: Screw sold separately.